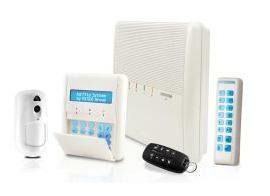 It’s not often that you can get excited about an intruder alarm system. People might spend £100k on a high-end AV home entertainment system in their £2million property but would balk at spending £1k on an intruder alarm system that will keep their family and possessions safe and secure. After all, intruder alarms are boring and often seen as a grudge purchase rather than a positive investment in safety, security and general well-being. 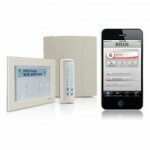 But if you take a look at the new offerings from RISCO you might just change your mind. Because RISCO have pioneered cloud based monitoring with picture and video integration that can all be controlled by an app on your smartphone. 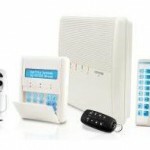 Intruder alarms are no longer boring! The fully wireless RISCO Agility™3 is a professional intruder alarm system that can be monitored via different signalling options direct to an Alarm Receiving Centre, or can be self-monitored with speech, text or email notification. left open caused a false alarm? No need to panic and rush home. You are at the airport and can’t remember if you set the alarm? Log in via the app and check the status and arm the system if you need to. The gardener has arrived to mow the lawn and needs access to your garage? You can unset part of the system remotely via the app or PC from your office. In addition to the PIR Camera, RISCO will soon be releasing their VUpoint service which incorporates a range of IP cameras that integrate into your Agility™ 3 alarm system via the cloud. If your alarm activates you can get pre-incident and incident footage, and obviously you can always log in whenever you want to view live. The internal IP cameras have an integrated microphone and speaker so you can speak to people in the protected property, whether that is an intruder (!) or your children home from school. 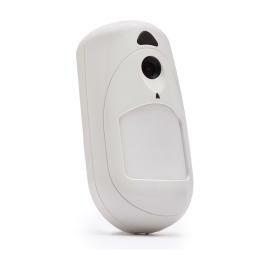 Speaking of children, the Agility™3 can be configured to alert you when your kids come home (after entering their own code) which for many parents will provide valuable peace of mind. Another valuable feature is that of “no activity”. If you have an elderly relative with health concerns, the Agility™3 can alert you if no movement has been detected within certain areas of the property within certain time parameters. For example, if you have a partially bed-ridden relative who must move from one room to another to take medication 3 times a day, if the relevant device does not detect movement then you will be informed. This is a fantastic way to help look after someone without being too intrusive, and for someone who does not yet require full time care. 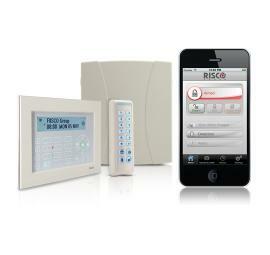 In addition to the RISCO Agility™3 fully wireless system, RISCO have the LightSYS 2 control panel which has all the aforementioned features but with the added benefit of being able to incorporate hard-wired devices, with the facility to allow for Grade 3 and Grade 4 high-end signalling such as Dualcom and Redcare GSM. Security First (UK) is a London based premier RISCO Security Systems Installer with over twenty years experience protecting commercial, educational, financial, religious, residential, and retail establishments, providing them all with an exceptional level of design, installation and on-going maintenance.